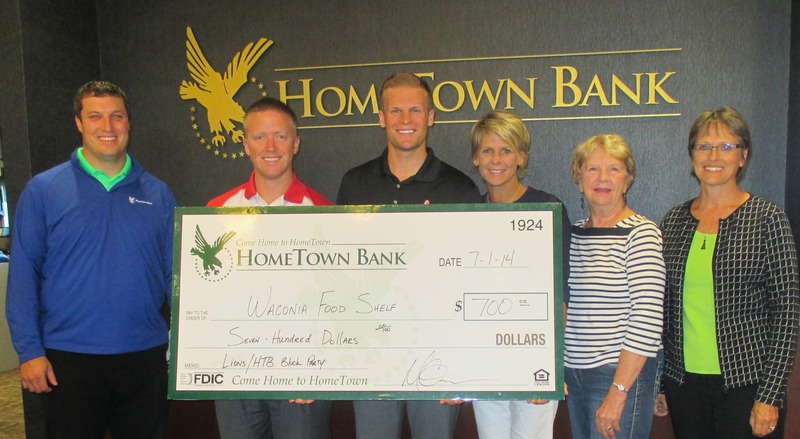 Proceeds from Waconia Lions Beer sales at the HTB Block Party were donated to the Waconia Food Shelf. Holding a check for $700 is Todd Hann, Mike Orth, Matt Gassen, Jayne Gassen, Marty Cramer and Mary Beth Diethelm. This donation was matched by Open Your Heart for the Hungry and Homeless so it was stretched even further! Thanks Waconia Lions and HomeTown Bank!